Portraits By Matthew is here to help simplify your planning process by reducing the stress of searching countless vendors without knowing if they are truly reliable. This is why we have created a carefully selected list of like-minded businesses in Cleveland, Ohio that we have personally worked with and fully trust! Portraits By Matthew is proud not to receive or accept any commissions from our preferred vendors; just a deep satisfaction in knowing our clients will be well taken care of. Award Winning Newborn, Baby, Birth, Child & Family Photography! At Brittany Gidley Photography we want you to have the newborn photography experience of your dreams- and that starts with us. We are fully immunized, credentialed, professionals who are experts in the art of newborn posing. There are no safer hands in the photography industry than ours. Shannon's stylists have been specially trained for photoshoots. With heavy focus on exactly what YOU are looking to achieve. Shannon Michael Style uses their own line SM Cosmetics that is professional makeup specifically made to be photo-ready! La-Vera Party center is spacious and offers a newly remodeled two-room banquet and conference facility that customizes each event to the needs of their guests. La-Vera has been family owned and operated since 1952 and pride themselves on a tradition of excellence to capture each important detail of your event. La-Vera Party Center has the ability to accommodate receptions ranging from 100-720 guests! representing over 25 dance/party bands, dozens of professional wedding DJs, countless musicians and groups for wedding ceremonies, dinners, and background music + UP LIGHTING addons! BURNING RIVER ENTERTAINMENT GROUP'S EVENT SPECIALISTS HAVE EXPERIENCE ON HUNDREDS OF EVENTS, AND THEY WANT TO MAKE THE VISION IN YOUR HEAD THAT YOU HAVE OF YOUR BIG DAY A REALITY. WITH BURNING RIVER ENTERTAINMENT, THEIR CLEVELAND WEDDING DJ’S ARE THE BEST AT ENSURING THAT YOU AND YOUR GUESTS HAVE A GREAT TIME, AND THAT YOU AND YOUR FIANCE ARE THE CENTER OF ATTENTION. THEY SPECIALIZE IN MEETING AND EXCEEDING YOUR EXPECTATIONS, NO MATTER HOW BIG OR SMALL. Your wedding will undoubtedly be one of your finest moments. 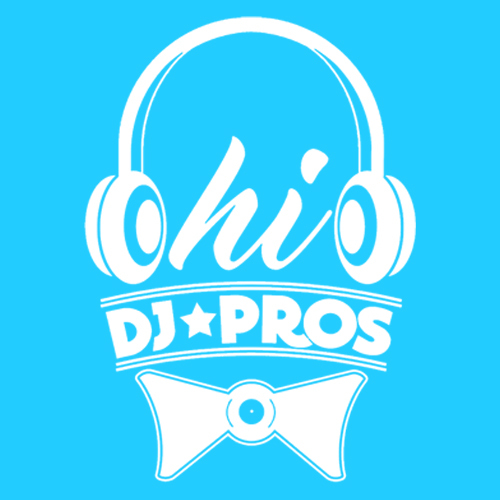 In the memories, pictures, and videos of your treasured night, you will see your guests enjoying the entertainment and atmosphere provided by Ohio DJ Pros. With hundreds of weddings in the books and over ten years of experience rocking the club scene, you can expect high energy, a refined musical selection, and peerless professionalism. You have to be convinced of your DJ’s magnetism and charisma, as these traits will lead to an all-night full dance floor and a party unlike any other. Find out why more people choose A-1 Mr. Limo for their special occasions than any other limousine/coach company in the State of Ohio.